UNDATED - The South Dakota Prep Media basketball poll for the week of Dec. 11 is listed below, ranking the top-five teams, the team’s record, points received and ranking in the previous poll. First-place votes are indicated in parentheses. Receiving votes: Yankton 7, Rapid City Stevens 3, Rapid City Central 2, Sturgis 1. Receiving votes: Flandreau 7, Tri-Valley 5, Pine Ridge 3, Baltic 4, Deuel 2, Red Cloud 2, Sisseton 2, Hamlin 1, Bon Homme 1. 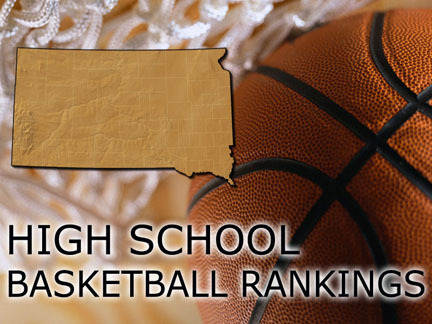 Receiving votes: Sioux Falls O’Gorman 12, Pierre 4, Brookings 3, Sioux Falls Washington 2, Sioux Falls Roosevelt 1. Receiving votes: Dell Rapids 14, Sioux Falls Christian 4, Groton 3, Belle Fourche 1, Tri-Valley 1. Receiving votes: Sanborn Central/Woonsocket 6, Ethan 6, New Underwood 5, Deubrook Area 4, Castlewood 2, Alcester-Hudson 1, Menno 1.